New colorful vases in bright Spring hues! 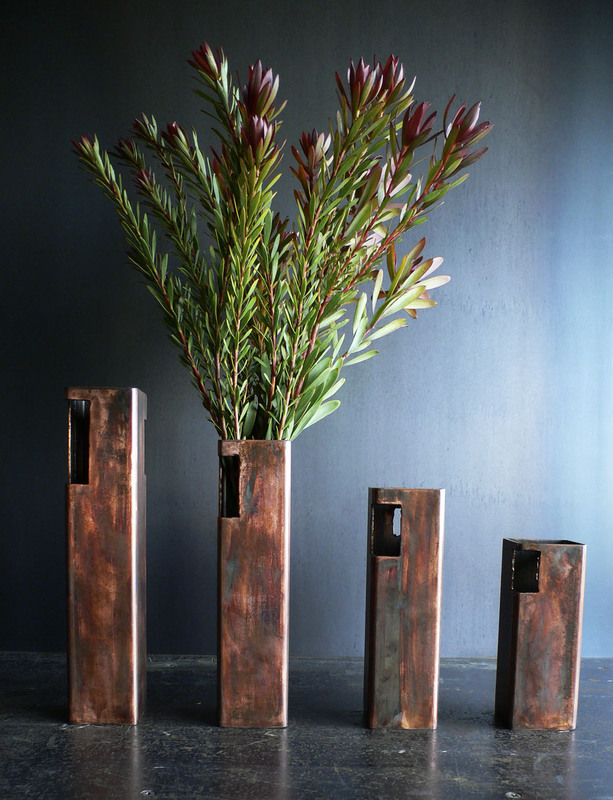 To celebrate the arrival of Spring, I have launched a new line of brightly colored sculptural steel vases! The vases are available in green, purple, and blue, and come in 3 different sizes: 8 inch, 10 inch, and 12 inch. There's a plastic insert in each vase that holds the water and flowers. Contact Michael Daniel Metal Design for information on how to order. My Sandstone Patina Flower Vases are now available for sale through my Etsy site. They are available in four sizes: 3"x3"x8"
Thanks to Sara for the great photos!